i rock paper and scissors: The Paper Bakery | It's Christmas Time! 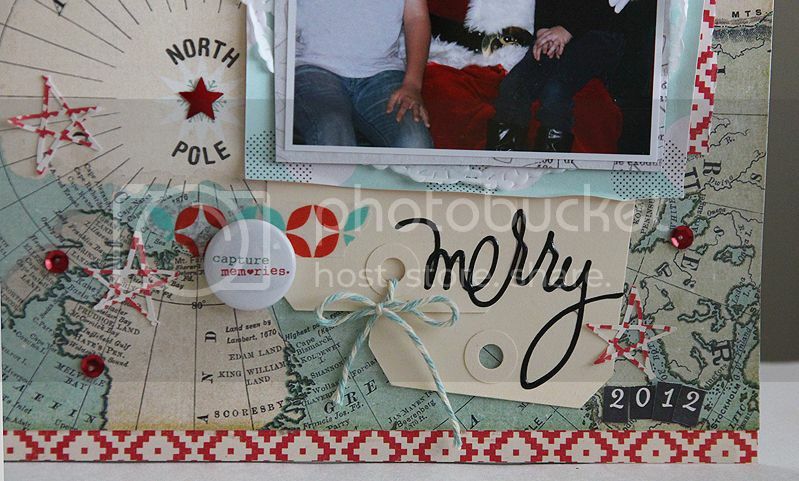 Beautiful paper and snowflake border. Looks like a memory to cherish. Love love love love this!! LOVING that North Pole paper!!!! I love the colours!! Great layout! I love what you did with the North Pole paper. You always inspire me! That's my favorite map paper, and I love how you used the two tags and word over - cool! Looks great! Fabulous layout! You chose the perfect papers and embellishments for your picture. Gorgeous Mary Ann! Love the mix of OA and EP paper, and that doily cut border across your page! Is the "Half-Snowflake" border a punch or a cut file. It is gorgeous!!! Mom2h the snowflake border is actually a Martha Stewart punch :) I love the half snowflake design! Thanks, Mary Ann. I actually stumbled upon it since I posted. IT. IS . ON. THE. LIST! LOL! Hope you get the blog thing worked out. I regularly forward your blog posts to my list of scrappy girlfriends for layout ideas, and THEY LOVE IT. I always get comments or even pictures of their scraplifts. Thanks for doing the blogwork and encouraging us with your creativity. Keep up the good work! Have a great week.